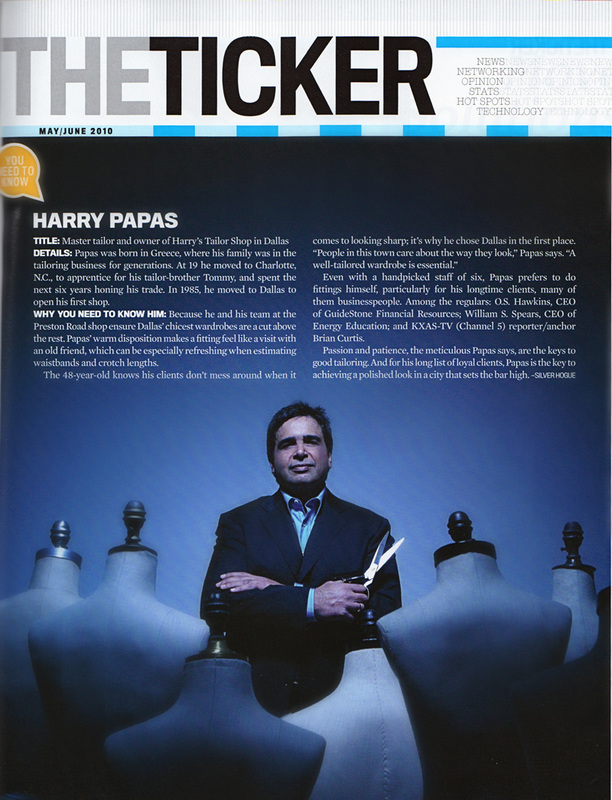 Harry Papas was featured in DCEO Magazine in the May/June 2010 Issue. From D CEO: "Why you need to know him: Because he and his team at the Preston Road shop ensure Dallas' chicest wardrobes are a cut above the rest. Papas' warm disposition makes a fitting feel like a visit with an old friend, which can be especially refreshing when estimating waistbands and crotch lengths..."